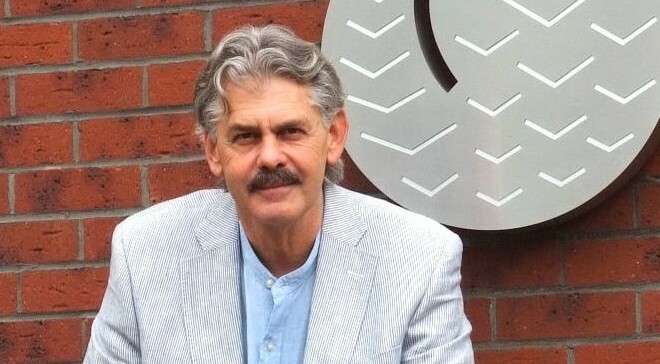 I was lucky enough to grab a few moments with car designer, engineer, entrepreneur, professor and very tall person Gordon Murray at this week’s LCV2010 conference. Here’s a rough transcript of our conversation — it’s based on my hastily scribbled notes that I then typed up immediately afterwards. Some of the dialogue is verbatim, some paraphrased, but the gist is accurate. I wrote a proper article about our chat for BusinessGreen.com. Me: You’ve been trying to get your new company, Gordon Murray Design, off the ground at a difficult time. Has the downturn held you back? Murray: Quite the reverse. Before the crisis we were talking to a couple of potential customers, but we weren’t really ready. Now we have the reverse problem, we are ready but there are more potential customers than we can talk to. We are a small company and we have to talk to them in series, one after the other. We are already working with three or four companies on products, and we have an industrial partner ready to go to build the cars using the iStream process. Me: Are you able to tell me who that production partner is? Murray: They are one of the top three tier-1 suppliers, but we are not announcing who they are yet. OEM [car maker] customers will probably not need production help, but out of the forty we are talking to only eight are existing car makers. The rest are retailers or people with brands. A company like Virgin, for example, could enter the market that way. Me: is that a hint, mentioning Virgin? Murray: There’s a perception problem that we’ve inadvertently made for ourselves. What we really have to offer is a production process, not a car. The T25 is one potential embodiment of the techniques we’ve developed. But we are working on a variety of other designs, a two-seater for example. Me: That’s interesting – would that be a tandem two-seater? Murray: No, it’ll be two-abreast. We are doing it for a South-East Asian customer. Me: You’re working on an electric version of the T25 (the T27). The government incentive scheme for plug-in vehicles focuses on full-blown cars. 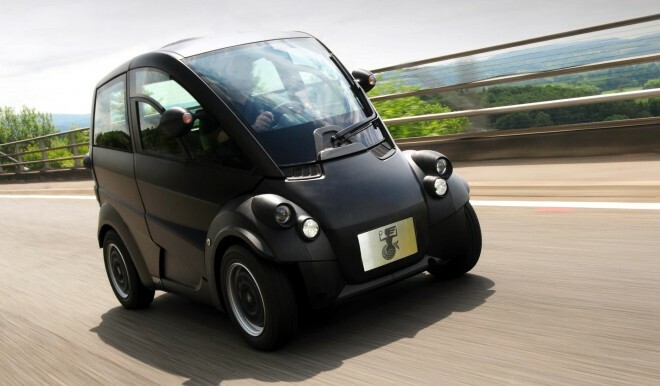 By sidelining smaller and lighter quadricycles, like Renault’s upcoming Twizy ZE, do you think the government is failing to encourage real innovation? Murray: I’m not interested in quadricycles, they are a bit of a waste of time. I think innovation needs to take a different route. The direction should be towards a new sub-M1 standard for passenger cars, specifically for urban vehicles. When I have made more progress on my current projects and have a little more time, I’m going to start pushing for this. EuroNCAP has been a tremendous success and has saved a lot of lives, but we’ve ended up with cars where the front end is so stiff, to protect passengers in a crash, that they’ve become very unfriendly in an urban environment. They’re not designed to cope well with a low-speed crash. For urban cars, we need a crumple zone that starts working at 15 to 20mph, not at 40 mph. I think we are rapidly approaching the need for regulation. Incidentally, that car [he points to a model of the T25] has been tested for pedestrian safety and it’s the safest yet seen. To date, the only government that’s taken urban cars seriously is Japan. It’s had the Kei car format for decades, since the late 1940s. Me: So when do you think you’ll be able to push for that sort of standard here? Murray: I sit on the Automotive Council, so I’m going to be on a mission as soon as the new car is up and running.